Preparing a child for a particular change in their life gives them a greater chance of coping, not only with that specific change, but with any unexpected events later on in life. Starting school is clearly a big change and we make lots of opportunities during your child’s final year at the pre-school to prepare them for this. Experiences such as visiting the school library, eating lunch in the hall with the school, going out into the playground during play time and changing for PE all help with the transition to school, whether your child is going on to Seer Green School or another school. We also have good communication with the local reception teachers, which helps them to support your child’s transition. 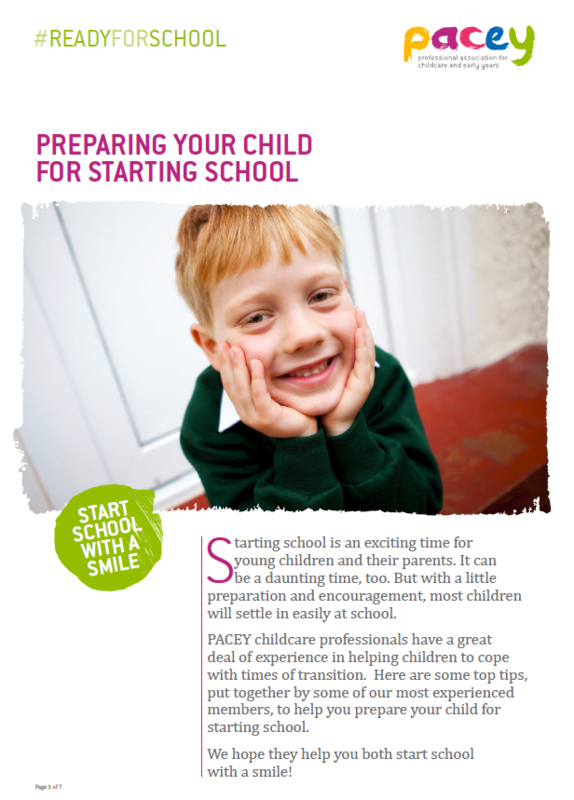 Read PACEY’s (Professional association for childcare and early years) useful guide for parents.